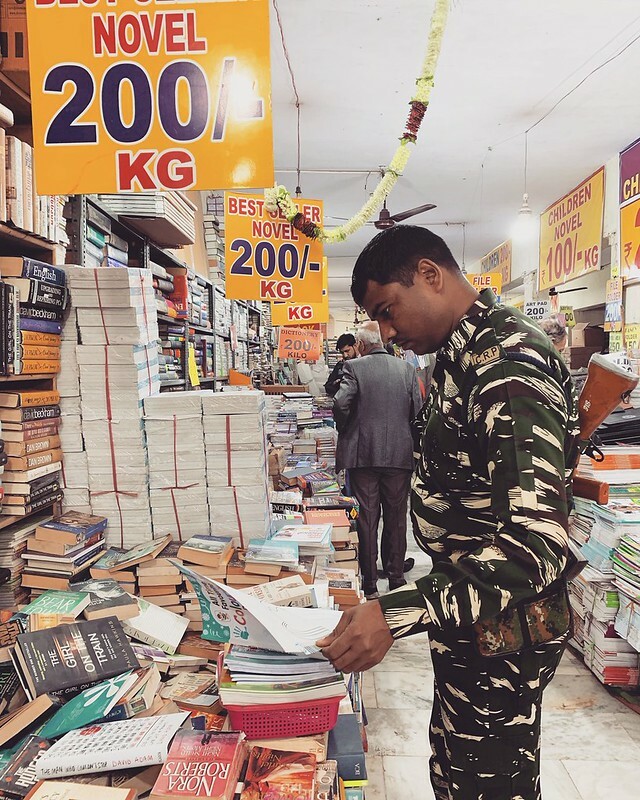 On just about any day of the week, this second-hand bookstore in Central Delhi is packed with rather bored shoppers. Maybe browsing for an old 2018 diary for some reason. Or, perhaps, on the lookout for a tempting Tarla Dalal recipe collection that the late beloved auntie had warmly recommended. This afternoon, however, is very different. The store is awash with armed security men because of political rallies nearby. A pause between events is now giving the lads the chance to do something on their own. Generally, these categories of personnel somehow seem faceless when they are spotted in a bunch. The same can be true for any group of people, like suited bankers at a conference, or doctors in the hospital. But now, the security men have shed their faceless anonymity as they poke around the bookstore; as curious as anybody. A gun-carrying guard now moves towards a pile of books and carefully picks up a slim paperback, slowly riffling through the pages. It’s a children’s sketchbook. Why would the armed guard be so interested in it? Does he have a child, or, perhaps, merely recalling his own childhood days? Whatever it is, the captured moment is somehow precious and unexpectedly tender. Wow, books being sold by kilograms. Raddi ke bhaw mei. Now every one can afford. Love this, a perfect moment captured. Specially the bit about them shedding their anonymity with curiosity. Brilliant observation.